Photo: Mark Fletcher. Creative Commons BY-NC (cropped). 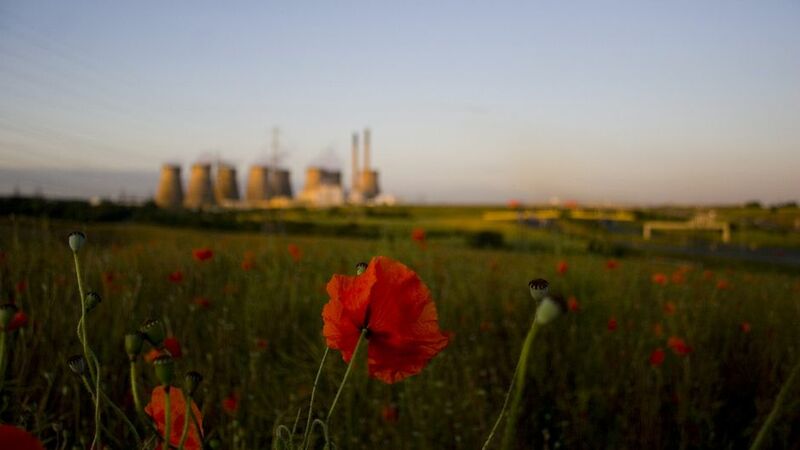 The UK will close all coal-fired power plants by 2025, the first major country to do so, but will fill the capacity gap largely with new gas and nuclear plants rather than cleaner alternatives. The announcement came in a speech by the energy secretary, Amber Rudd, which she described as a “reset” of Britain’s energy policy on Wednesday. Rudd said she wanted policy to focus on making energy affordable and secure. The government wanted a “consumer-led, competition-focused energy system that has energy security at the heart of it”, she said, adding that the balance had swung too far in favour of climate change policies at the expense of keeping energy affordable. “We are tackling a legacy of underinvestment and ageing power stations, which we need to replace with alternatives that are reliable, good value for money, and help to reduce our emissions. It cannot be satisfactory for an advanced economy like the UK to be relying on polluting, carbon-intensive 50-year-old coal-fired power stations. Let me be clear: this is not the future,” she said. Green campaigners offered a cautious welcome to Rudd’s pledge to restrict coal-fired power by 2023 and eradicate it in a decade, although they have been critical of government moves to abandon support for renewable energy. But the veteran green campaigner added that he was “confused” by the government’s cuts to support for clean technology such as solar and wind power. David Nussbaum, the chief executive of the charity WWF, expressed mixed views on the speech, saying he welcomed the phasing out of coal but questioned the strategy on renewables. “As the government will highlight, decarbonising our economy will involve a mix of technologies,” he said. “But the way to develop a climate resilient economy and to be fair to bill payers is to pursue renewables ambitiously and to do so now. Coal provides about 30% of the UK’s electricity but it is the most carbon intensive of fossil fuels and environmentalists have long been pushing the Department for Energy and Climate Change to set a date for phasing it out, preferably by 2023. To meet this goal, the UK will have to put a huge effort into getting enough gas-fired power stations built to meet demand. “It cannot be satisfactory for an advanced economy like the UK to be relying on polluting, carbon-intensive 50-year-old coal-fired power stations,” said UK energy secretary Amber Rudd. Rudd acknowledged that gas and nuclear power generation would in effect need a government subsidy for building power plants, but insisted they were the most secure energy sources for the future. Rudd’s critics are likely to call the government’s focus on gas and nuclear power short-sighted as she has cut so many subsidies for renewables and energy efficiency schemes. However, several analysts, campaigners and the affected industries argue that slashing support for renewables is a backwards step when it comes to tackling climate change, growing green industry and saving consumers money in the longer term. Davey published a series of questions for Rudd on Tuesday night, including asking how the UK would meet its legal obligations under the Climate Change Act under her new policies. This month Rudd was accused of having misled the public after a leaked letter revealed that the UK was predicted to fall short of its EU obligations to get 15% of its energy from renewables by 2020. Pressed on the shortfall, the energy secretary was forced to admit the UK did not have the right policies to meet its decarbonisation targets and argued that the government should maintain support for renewable heat at the spending review. Davey claimed the Conservatives opposed ending coal-fired power under the coalition and challenged Rudd to guarantee the lights would stay on with her strategy of “gas, and more gas”. Last week National Grid for the first time had to use “last resort” powers to tell companies to reduce their electricity usage in an effort to reduce the risk of blackouts. A Whitehall source said Rudd remained focused on the energy trilemma, a recognition of the need to balance energy security, affordability and climate change. Rowena Mason is a political correspondent for the Guardian.